Partly cloudy skies this evening will give way to cloudy skies and rain overnight. Low 52F. SSW winds shifting to NW at 10 to 20 mph. Chance of rain 100%. Rainfall around a quarter of an inch. AMES, Iowa – The only match Iowa State wrestling (1-0) won in the Cy-Hawk dual meet last season was by forfeit. The Cyclones showed almost no fight and were walloped from start to finish in a 35-6 beat down. 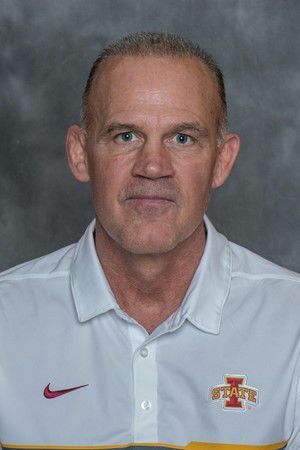 This season, as Iowa State travels to Iowa City to wrestle Iowa (4-0, 1-0 Big 10), Iowa State coach Kevin Dresser wants to see some fight out of his guys. “Last year, I don’t think we did a good job of going out there and taking it to them even though it was a huge mismatch,” Dresser said. “If you’re going to go out into the parking lot and fight, at least throw a punch – we didn’t punch much last year, in a metaphorical sense. Dresser understands that the Hawkeyes are still favorites to win the dual, but he said this will be a good measuring stick for where the team is at this season in terms of its toughness. One person in the Iowa State wrestling room who has a developed a reputation for having the high motor that Dresser wants is highly-touted redshirt freshman Austin Gomez (133). Gomez was a top-10 pound-for-pound recruit out of high school and hasn’t lost a match yet going back to his redshirt season. Gomez has an offensive style that pushes the pace. He has no problem putting up points. He’ll be tasked with an equally high-energy wrestler in No. 10 Austin DeSanto. Dresser called the match the marquee match of the meet. Gomez talked like he’s going to bring the energy on Saturday, now he just needs to do it.